SPONSOR OF THE CITY OF ATHENS “GREAT RECYCLING FEST” Vivartia’s Dairy and Drinks Division, DELTA, actively sponsored the “2nd City of Athens Great Recycling Fest” organised by the City of Athens at Syntagma Square from 2 to 14 November 2009. 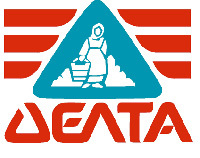 DELTA’s Integrated Reciprocal Recycling Centre was set up on Syntagma Square, where citizens and pupils recycled metal, plastic and glass packages and won gifts and products from DELTA. They also participated in the Great Competition with important prizes. In addition, in DELTA’s Environmental Education Workshop, which operated over the same period of time on Syntagma Square, citizens and pupils learned about the recycling process and its important environmental benefits. In total, more than 200,000 pupils and citizens participated and more than one million appliances were recycled. VIVARTIA’s Dairy & Drinks Division supported the Integrated Reciprocal Recycling System in the City of Athens with the exclusive sponsorship of five Integrated Reciprocal Recycling Centres. In the context of this cooperation, we participated in the City of Athens Great Recycling Fest, in January 2008, and for 15 days we had our own stand/recycling machine on Syntagma Square. More than 100 school classes participated in this endeavour. We also sponsored the prize that was given at the end of the celebration, while at the same time we provided information on our products and DELTA’s social profile. The production of concentrated sterile milk products requires a lot of thermal energy. Following a heat recovery study, a set of interventions were made at various points of the plant facilities, resulting in approximately 11% annual energy savings, i.e. 3,000 MWh/year. In the context of the excellent relations developed between the plant and the neighbouring Municipality of Platy, the partners decided to work together on a joint endeavour with the purpose of both parties contributing to protecting the surrounding environment. Specifically, the Vivartia plant proposed to the Municipality to use treated sludge from the sewage treatment plant in agriculture, which is possible under specific composition and use conditions and is permitted, even encouraged, in European Directive 86/278/ΕEC as transposed in Greek Legislation by JMD 80568/4225/91 (Government Gazette/641Β/1991). The practice of using this sludge promotes and contributes to environmental protection, reduces the use of chemical fertilisers (as the organic content of sludge is at least 75%) and is applied to a lesser or greater extent in all E.U. countries with the exception of Greece. We decided to launch this innovative action together with the Municipality. We made the appropriate detailed analyses of the sludge and we submitted them to the Municipality with the request to put to our disposal a municipal site in order to deposit and dry the sludge, with the Municipality’s obligation to use dry sludge for fertilising crops. The Municipality accepted this request and we then asked and received the approval by the Environmental Division of Imathia Prefecture. This collaboration with the Municipality has been continuing uninterruptedly for 3 years until today. The annual quantities of sludge (with a solids content of 9%) removed from the plant are approximately 800-900 m3. Over the last two years 10 additional inverters have been placed at the Sindos plant in order to save energy. Additionally, a study was carried out on compressed air losses. An investment plan provided for the creation of a combined heat and power plant at the Aghios Stefanos plant in Attica. The aim is to secure the supply of energy and to reduce dependence on imported forms of primary energy by diversifying the sources of energy supply as well as to protect the environment. Recycling of industrial by-products; edible ones are provided to pig farms.